A swirl of scarlet petals, the sensual smell of roses that spreads through the air, the precious glimpse of rose gold that triggers romantic whispers. 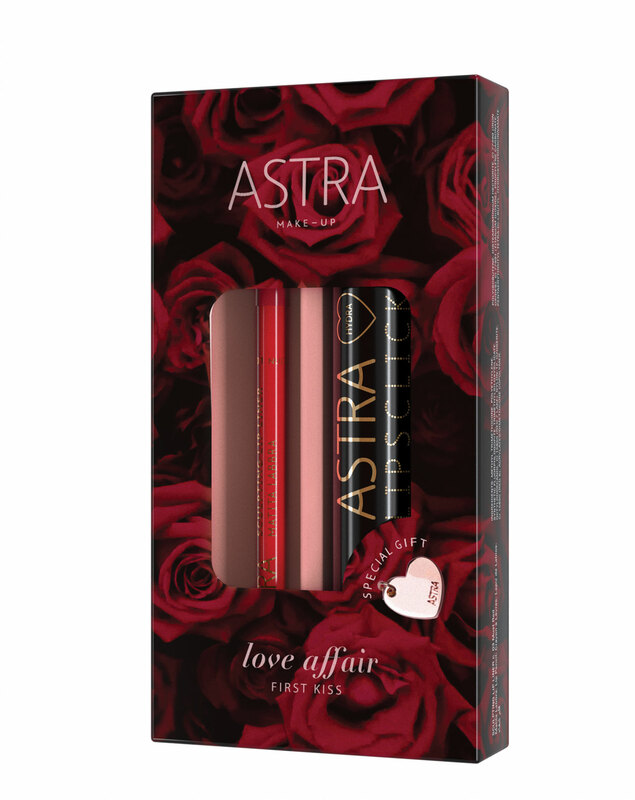 Love and passion are the main focus of Astra’s new collection, Love Affair: a capsule collection that encloses a selection of products to fall in love with. Each box contains, besides a combo of specific make-up products, a charm as a gift: heart-shaped, symbol of love, spirituality and desire. A universal symbol suited to refine wristbands or necklaces, to keep it close to your heart. 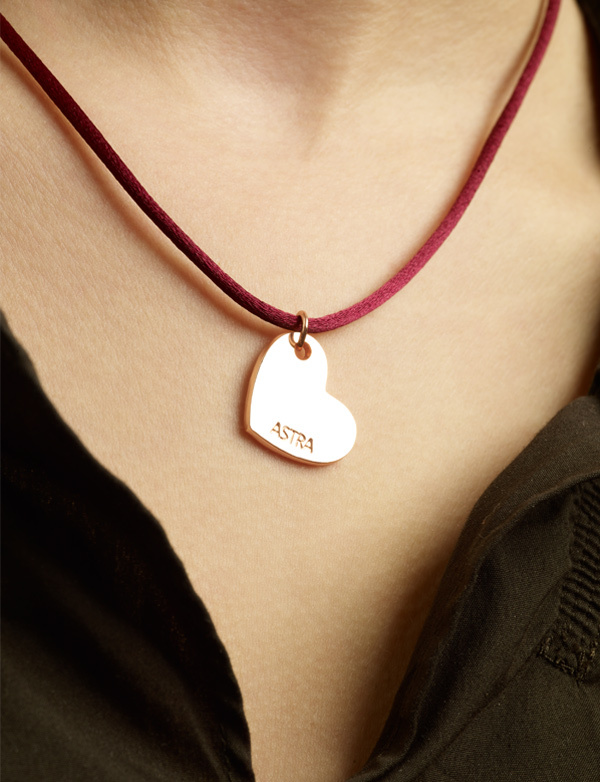 Charm: Material: Zinc Alloy. Nichel tested *Ni ≤ 0,01 μg/cm2. MADE IN P.R.C. A box dedicated to the universal appeal of eyes that can seduce and catch the attention with a simple blink. It contains #InstaVolume, the volumizing mascara with the hourglass applicator for fan-like lashes and 24H Color Stain Pencil, the smooth, soft and long lasting retractable eye pencil. Each box contains a heart-shaped harm as a gift. This box is dedicated to the sensuality of the lips; should that be embodied by the first kiss between two young lovers or by a sensual whisper during a summer night. 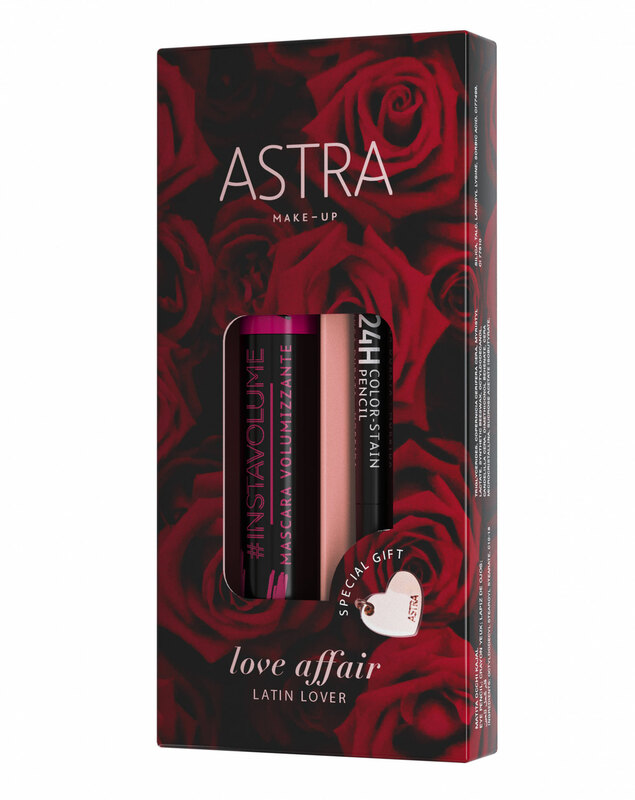 It contains Hydra Lipsclick, the vinyl finish, sculpting volume-effect lipstick and Sculpting Lip Liner, the waterproof, gel-formula lip pencil. 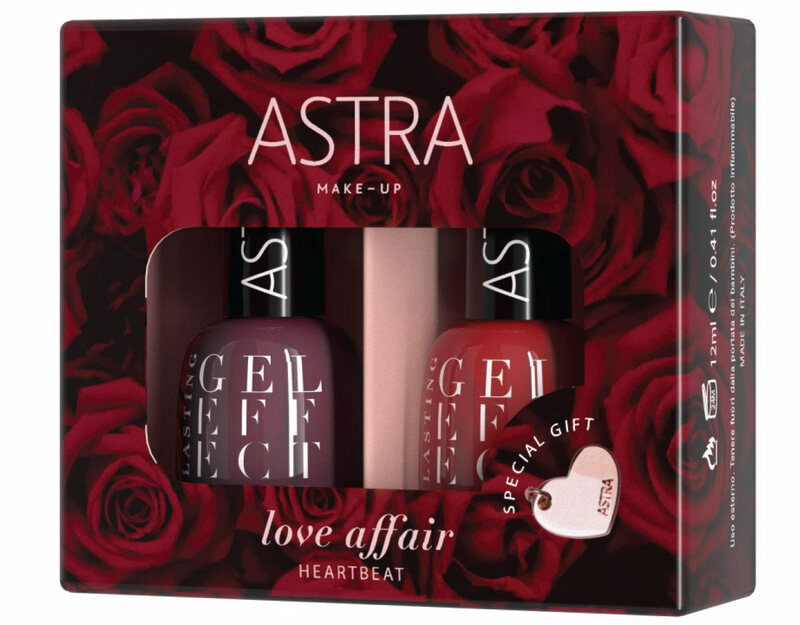 A sumptuous box of nail polishes inspired by the first love languors and the frenzy of the beginning of a relationship. 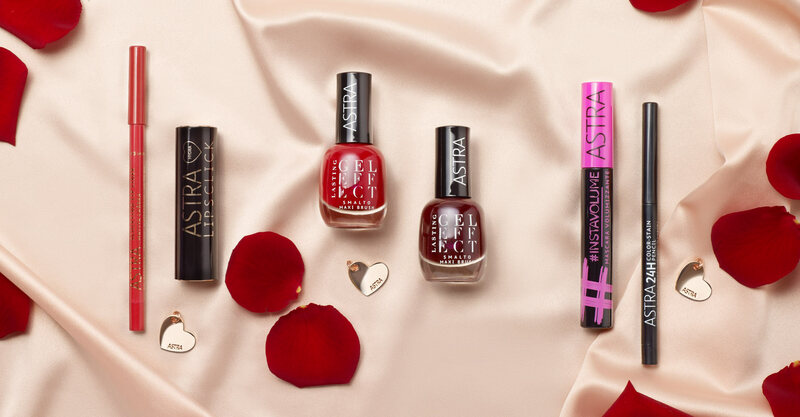 It contains two Lasting Gel Effect, the double effect, plumping and gel-like effect nail polish: Rouge Amour, a deep burgundy and Rouge Passion, the perfect Valentine Day-red, for a perfect and long-lasting manicure. Be passionate, be in love.